Bird nests are like snowflakes--no two are ever the same, and each one is an exquisite work of art. For many years I collected things that the graphic designer in me found aesthetically pleasing, things that made me feel good just looking at them--bakelite radios from the 1930s, plastic handbags from the 40s and 50s, Art Deco anything. Things I bought. I love my bird nests as much as any of my other collections (which are, sadly, mostly packed away in boxes) and can easily get lost in their intricacy. But what makes them that much sweeter is the fact that every single one of them was free. Click here and here if you'd like to see two other nests and read a little more about my collection. I love bird's nests too!! can you believe it, I'm in mpls and I'm checking my emails and thought I'd see how fast it is to look at your blog on DSL at my parents - wow, it's instantaneous. Secondly, on the plane here, I did a cross word puzzle and one of the words was "Donkey"...do you think this means something? Love the nests. I have seen places that put them into glass boxes and sell them as collectables. We had a North Carolina Wren make a nest in a pottery piece one summer. I wanted to get the nest out of there so they could nest there again the next year. That bugger was in there pretty good. These guys are experts! What a wonderful collection you have! I would love to see a large glassed in cabinet with all of them sitting up and being so beautiful. Isn't Mother Nature wonderful in her designs? Congratulations to the Food blog Award, best Rural blog, you REALLY deserve it! I couldn't loose to a better blog Susan! Keep up your good work! Much congratulations on the Food Blog Award. Look forward to lots more dialy farm photos. Congratulations on the Food Blog Award!! CONGRATULATIONS, Susan, on the Food Blog Award. It is so well deserved and I would also like to second the earlier comment about the positive tone you maintain on Farm Girl. It is such a wonderful place to "visit". Just kidding -- but not about the vote, of course. This is a much-deserved award, and I'm so excited for you! So glad you won! Congratulations and thank you for sharing all this with the world. Oh but they are so beautiful and you know I never ever thought about maybe keeping them somewhere safe to look at now and then. congratulations! you'd have walked away with the Lambie Picture category, too, if there had been one. 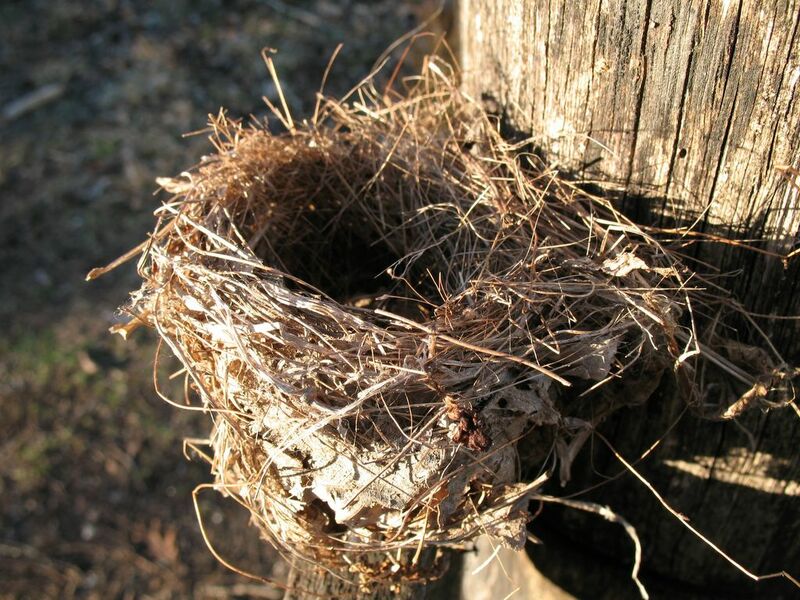 Bird's nests are indeed very beautiful. Anyone interested in collecting them should make sure they only collect nests from bird species that DO NOT reuse their nests, from year to year, or only collect nests that have fallen to the ground. You technically need a permit to collect nests of migratory birds. Congratulations, Farmgirl! It's such a lovely respite, visiting here, like a trip to the country without the gravel roads ... but missing the great pie at the cafe in town, too. Congrats on the food blog award!